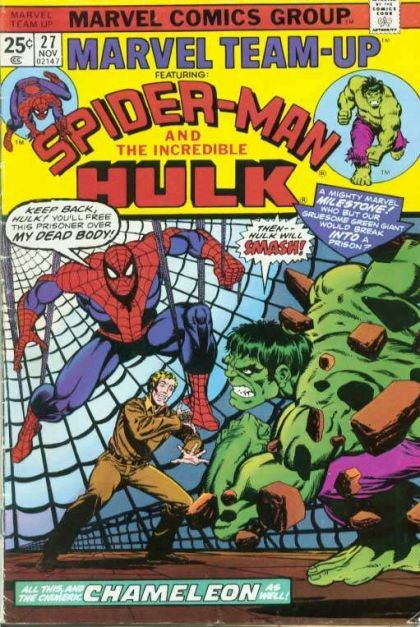 Spider-Man and The Incredible Hulk: A Friend in Need! The Chameleon owes a life debt to Joe Cord, and decides to dress up as Spider-Man to break him out of jail. When that fails, he runs into the Hulk, and disguises himself as Rick Jones to get the green goliath to do his dirty work. Can the real Spider-Man prevent the jailbreak and save the reputations of both heroes?